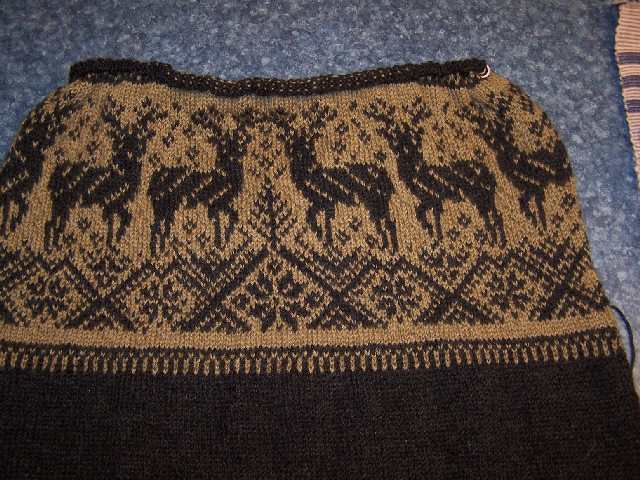 This is a Dale of Norway design showing use of Heilo and Tiur yarns mixed in the sweater. The gauge works the same and there is no pull in or pucker. The Tiur has 60% mohair in it so gives a nice feel to the background. Photo is uploaded for a KBTH group user who asked if they could be mixed. The charcoal color is Heilo, the tannish is Tiur.